HINDUSTAN REALTORS, a reputed corporate house stepped into the world of Real Estate in the year 2000 and is the leading organized Real Estate Industry in India. The group is promoted and managed by industries and vibrant enterpreneurs who have unparalleled focus on the future.Our Company provides real estate solution for a diverse range of users. We believe in forming long-term relations with the clients and allow them to seize the right opportunities and reduce the cycle time for the transaction by clearly understanding the requirement of the client and offer the solutions to derive the maximum economic value. 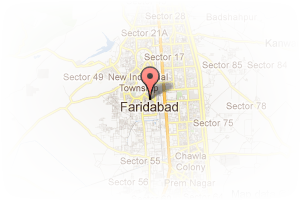 Address: A-45 GF, BPTP Elite Floors, Sector 85, Faridabad, Haryana, India. 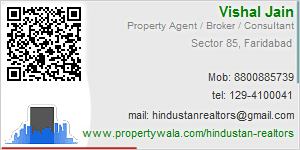 This Broker Profile page for "Hindustan Realtors" has been created by PropertyWala.com. "Hindustan Realtors" is not endorsed by or affiliated with PropertyWala.com. For questions regarding Broker Profiles on PropertyWala.com please contact us.